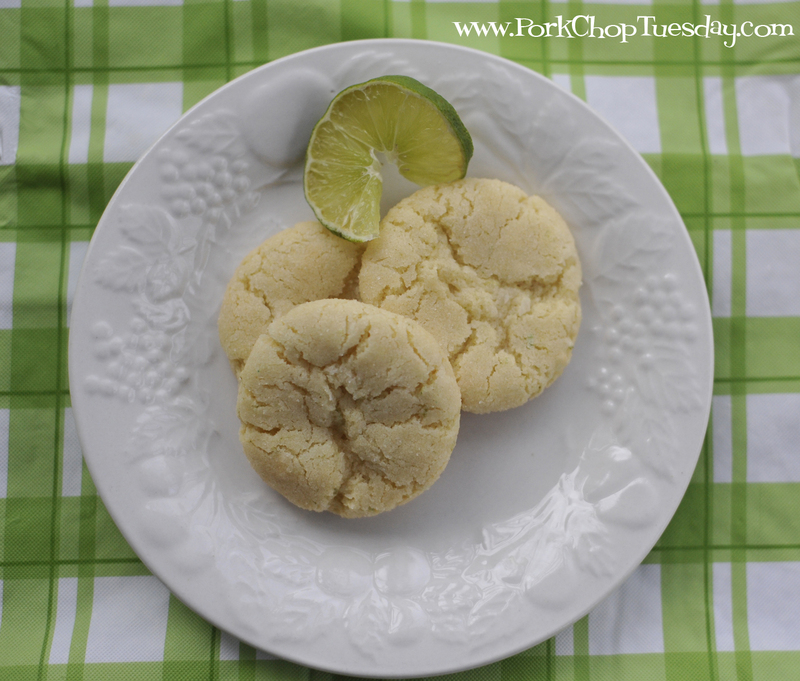 Several months ago I stumbled upon a yummy sounding recipe over at The Girl Who Ate Everything. 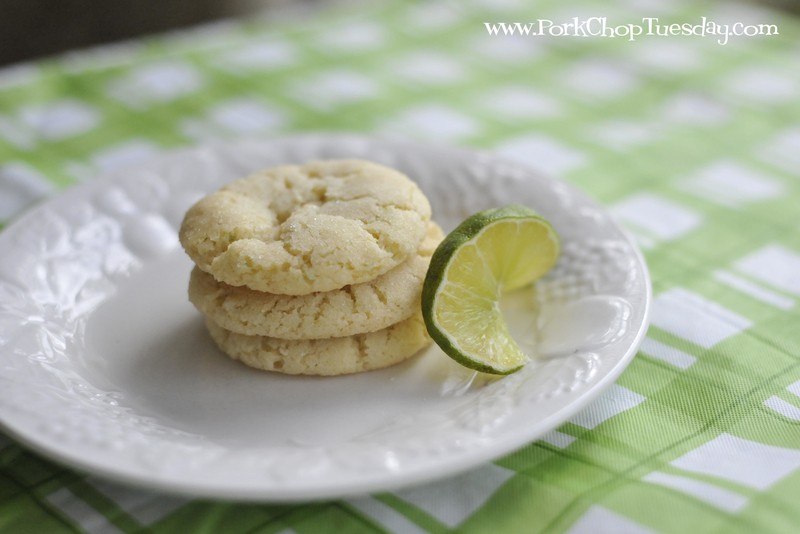 Her Chewy Coconut Lime Cookies sounded so yummy and fresh. Limes were on sale not long ago. I figured it must be time to try out this recipe. 4. 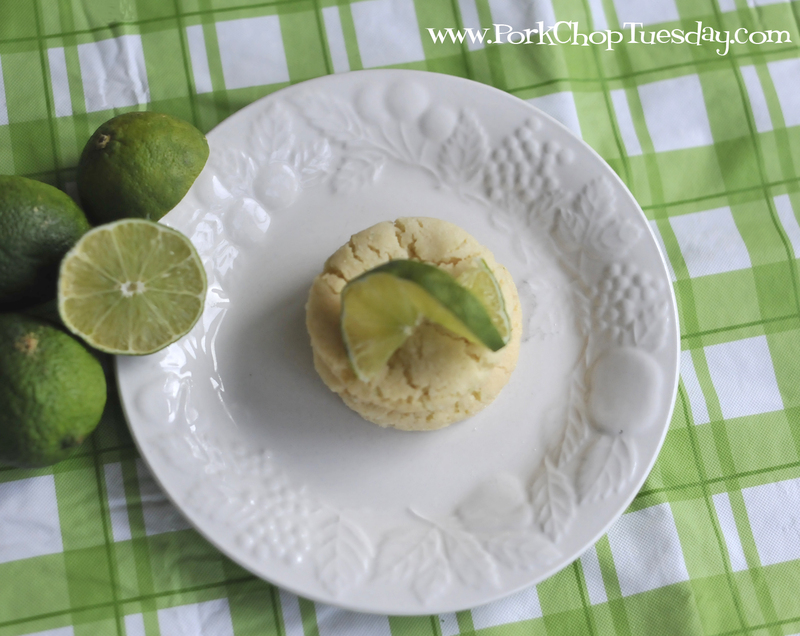 Beat in egg, vanilla extract, lime juice and lime zest. 5. Gradually blend in the dry ingredients and toasted coconut. 6. Roll rounded teaspoonfuls of dough into balls, and roll in sugar. (Keep reading to see how my experimenting turned out!) Place on lined cookie sheets about 1 1/2 inches apart. I mixed up the cookie dough just fine. It seemed a bit sticky though. I had a “brilliant” idea. I remembered that I had some leftover green sugar from Christmas. I thought rolling the dough in the green sugar would be cute. Since the dough had gotten soft I decided to refrigerate it for a bit. But wait! Brilliant idea #2 hit. 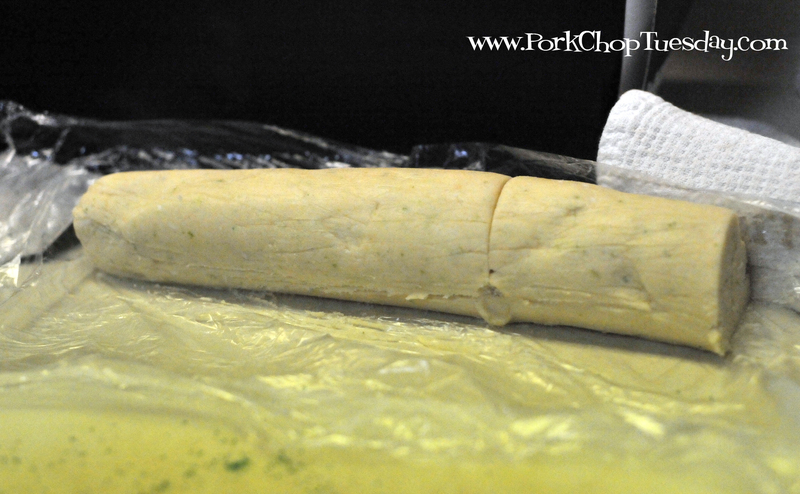 I thought that I would make the dough into a log and have slice & bake cookies. Yes, brilliant idea #3. 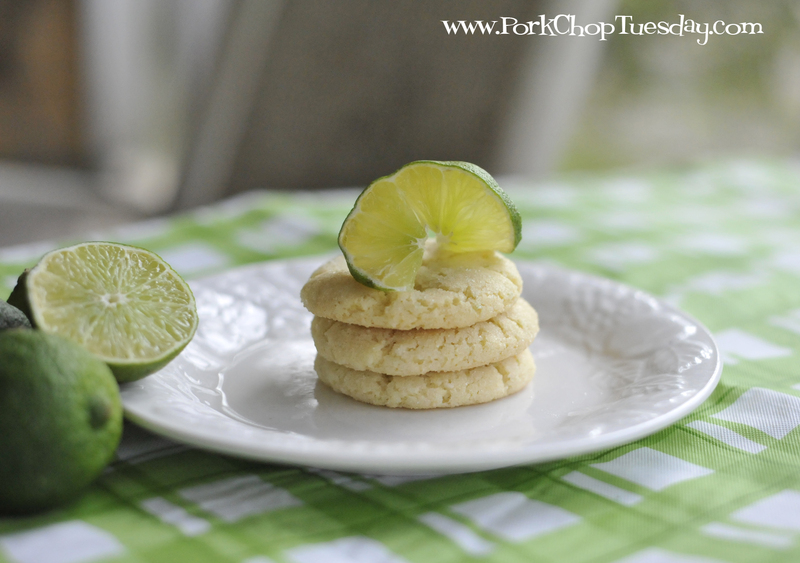 I decided to roll the dough in the green sugar so it would look like a lime slice. 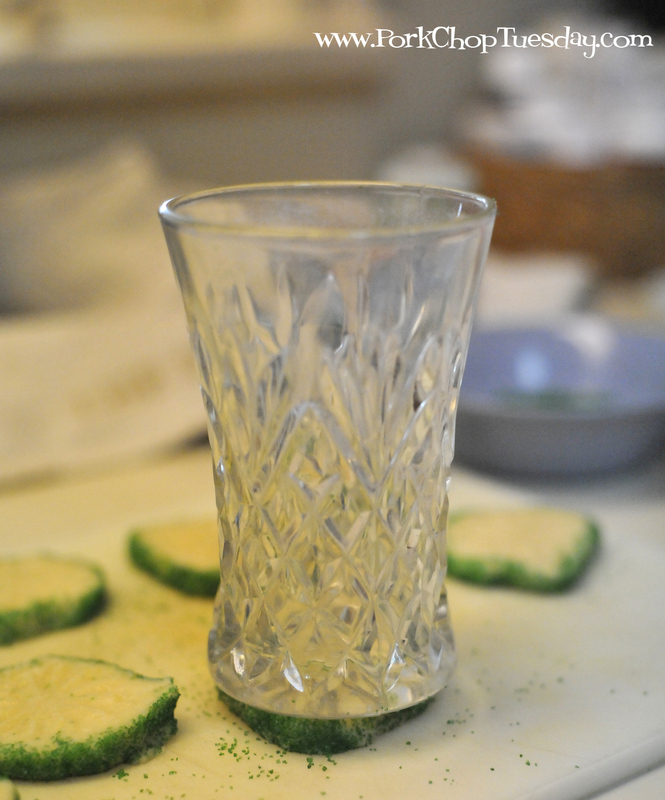 Then I took a glass from the cupboard that had a “lime slice” pattern on the bottom and squished it into the cookie. 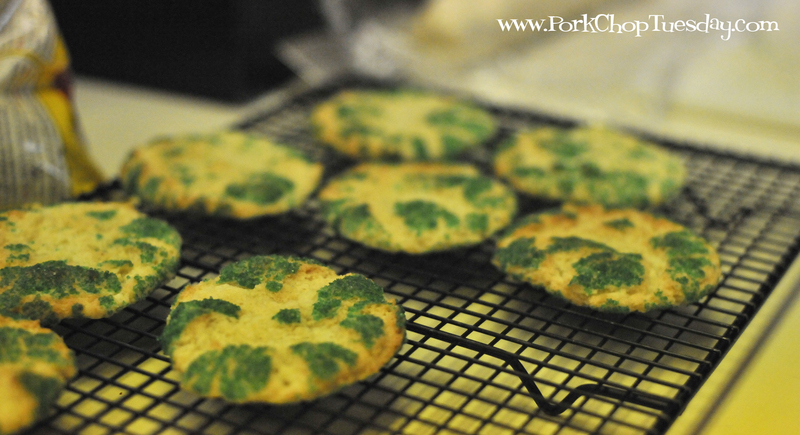 While it looks like these cookies would have turned out cute, they didn’t. The pattern was totally lost after baking. I decided to go back to the original instructions. 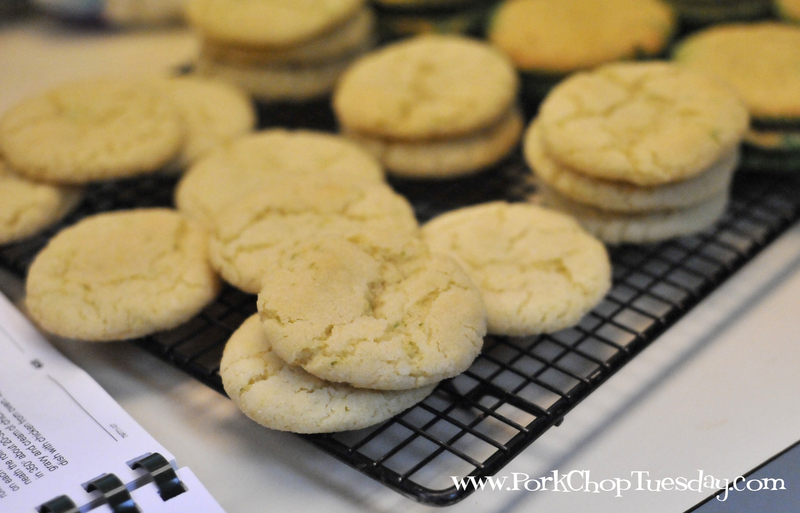 I used a small scoop to make the cookies then rolled them in white sugar. Nice! 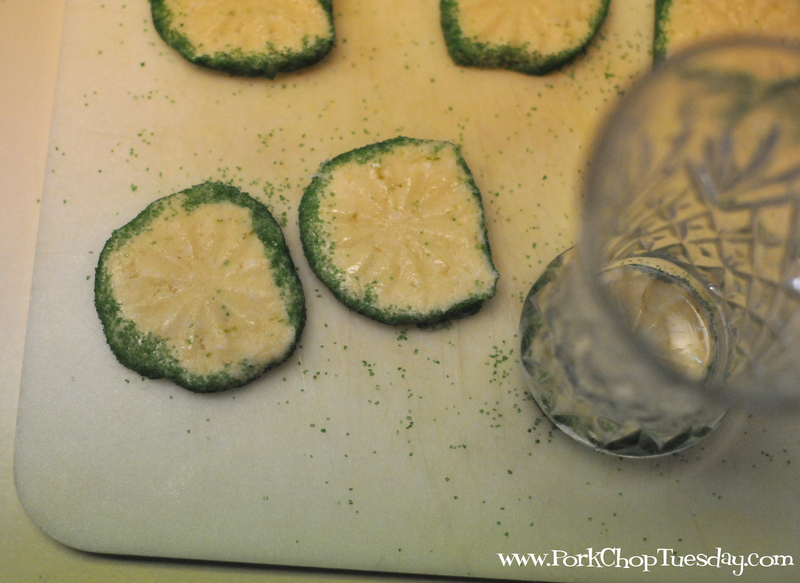 If you look closely, you can see the lime zest. Well, so much for the experimentation. 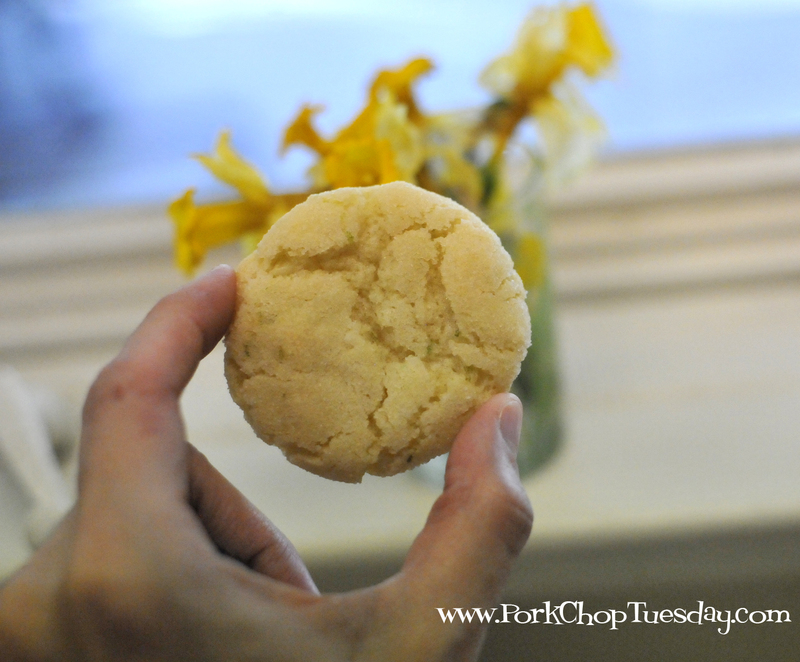 Sometimes a simple yummy cookie is better. They were yummy indeed! Chip: Tastes like a tiny little Caribbean island. Megan: I liked them well enough, but it needed more coconut. Katie: There was a bit too much lime for me, but it was rather tasty! I stopped by Mom and Dad’s house the other day after taking Megan to the dentist. 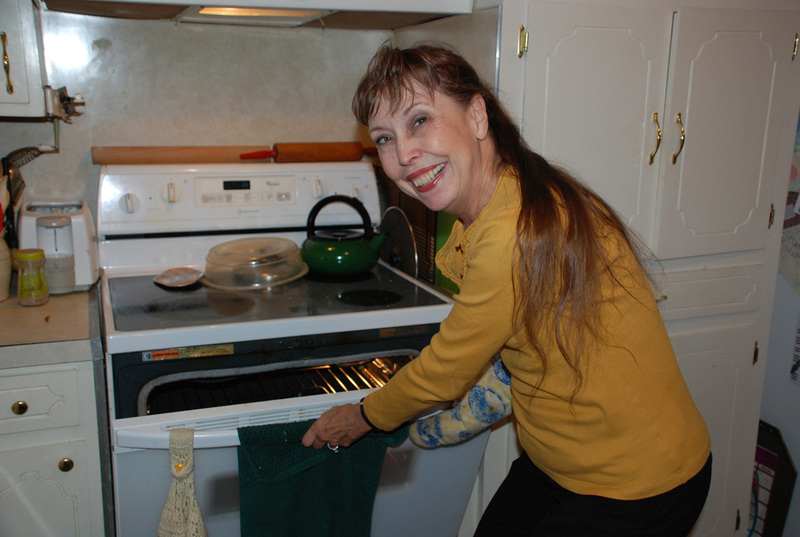 I found Mom in the kitchen making a pie. She already had the crust made. I said, “Hey, wait! I’ll take pictures and you can be a guest chef on my blog!” Dad has a camera just like ours, so I knew how to use it. Well, at least as much as I know how to use ours. 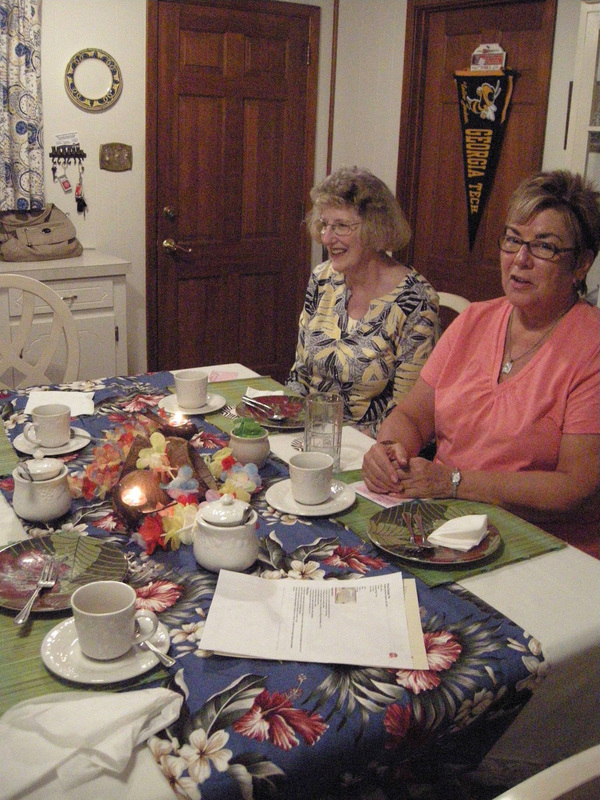 Mom and a few other ladies have a book club. 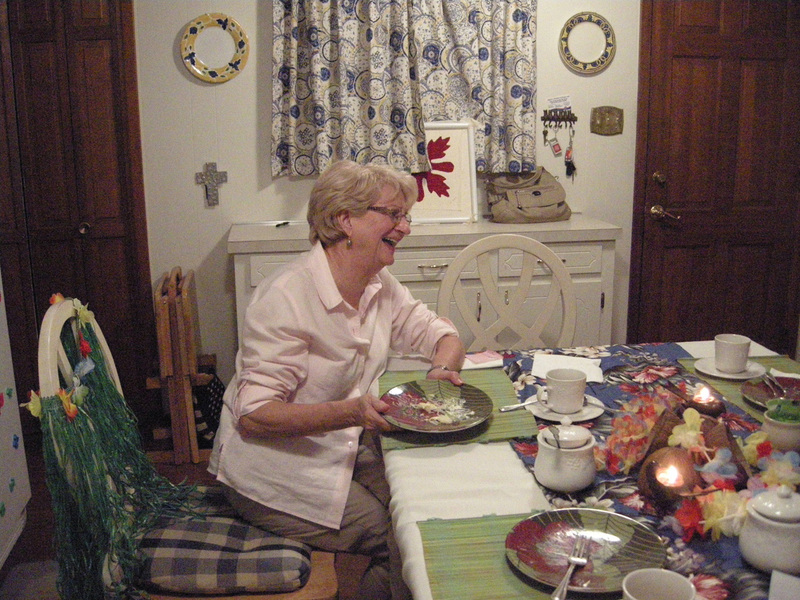 They pick a book to read then take turns as hostess. 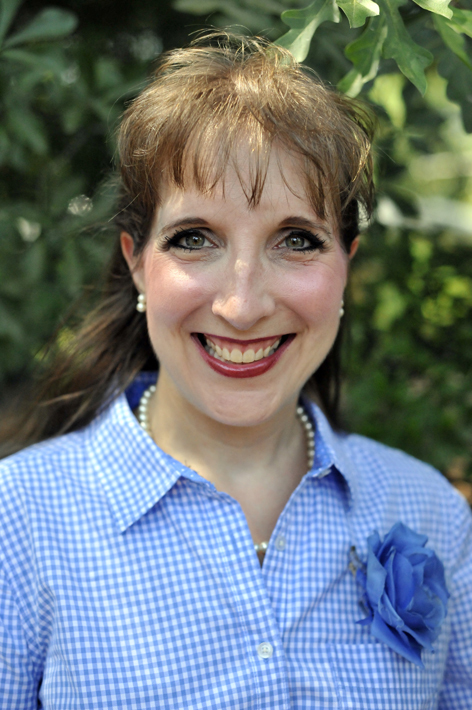 The book they had this month was The Aloha Quilt by Jennifer Chiaverini. Naturally, a Hawaiian theme was in order for the evening. 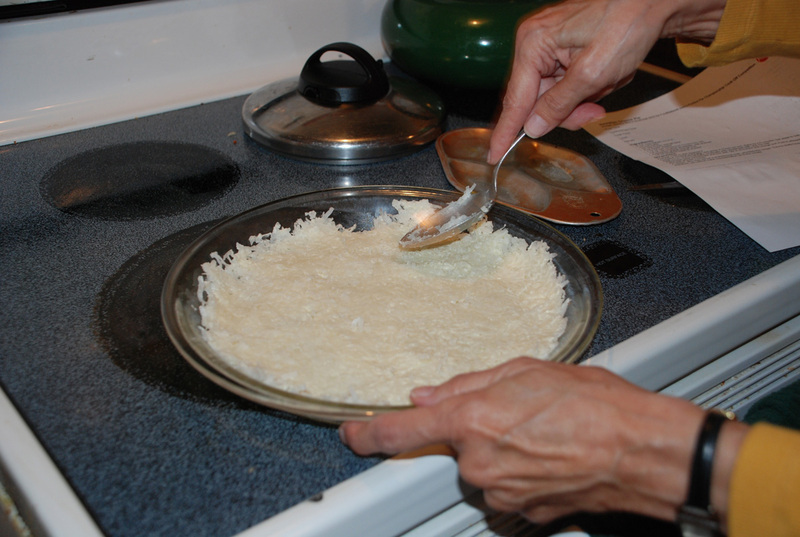 Combine coconut and butter and press in a 9-inch pie pan. Bake 4-5 minutes. Set aside to cool. Lucky you! 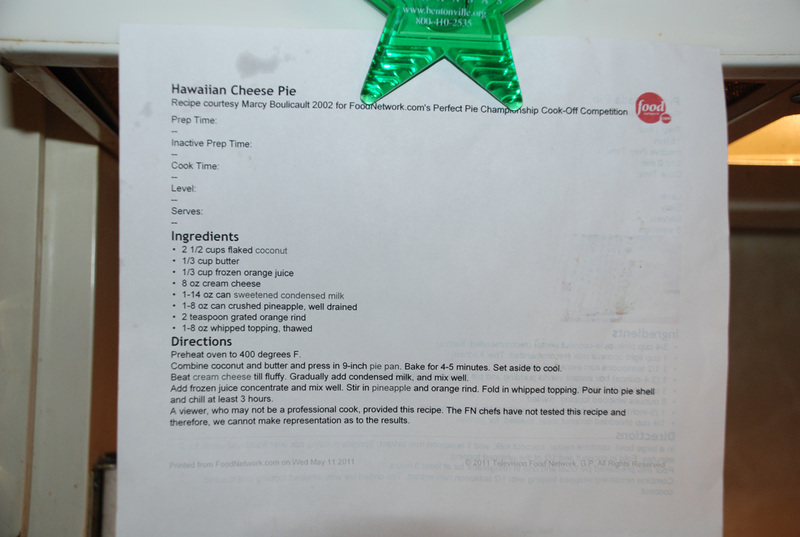 The recipe Mom used for the crust was actually from a different pie. You get a bonus recipe! Mom said that the 4-5 minutes was not quite long enough. The pie would have been better with a crispier crust. 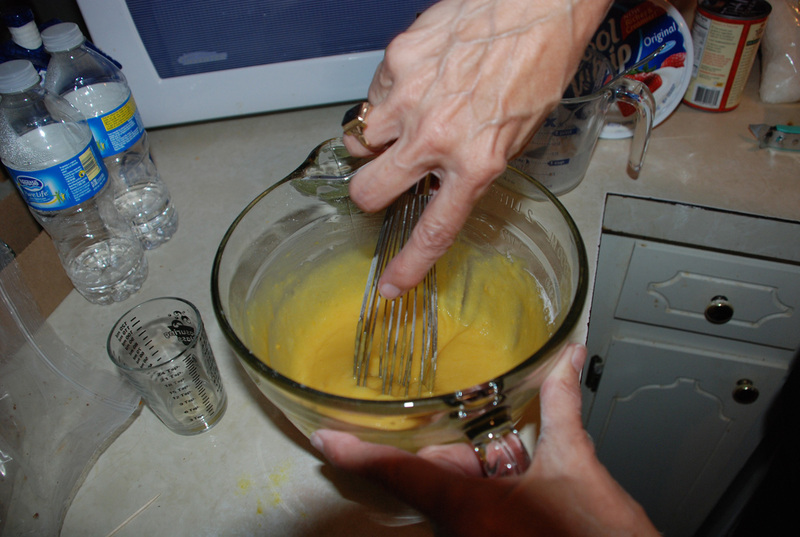 3/4 cup pineapple-coconut nectar (recommended: Kern’s) Mom couldn’t find the Kern’s. She substituted Bacardi Pina Colada Mix. 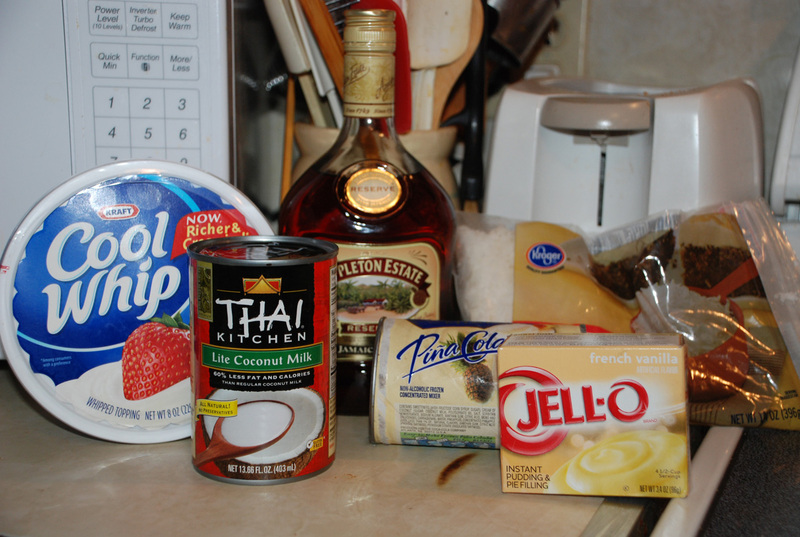 •In a a large bowl, combine nectar, coconut milk, and 1 teaspoon rum extract. 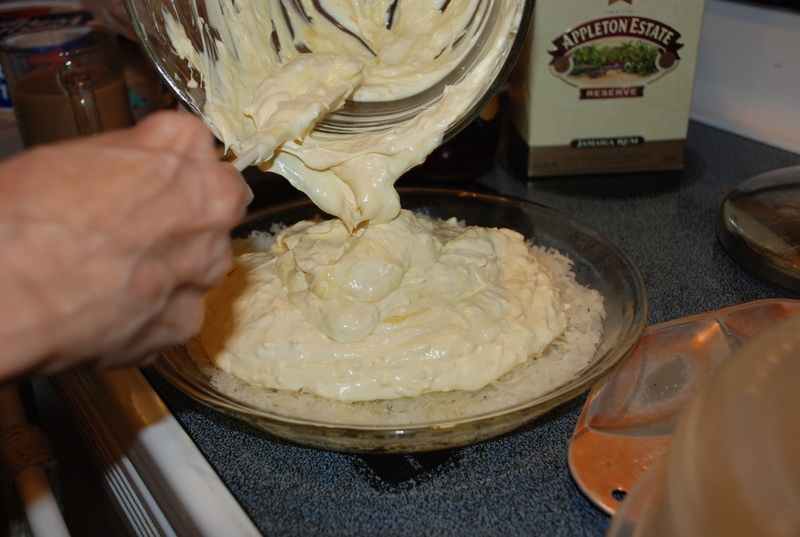 Sprinkle pudding mix over liquid and whisk for a couple of minutes. I love this little measuring cup! 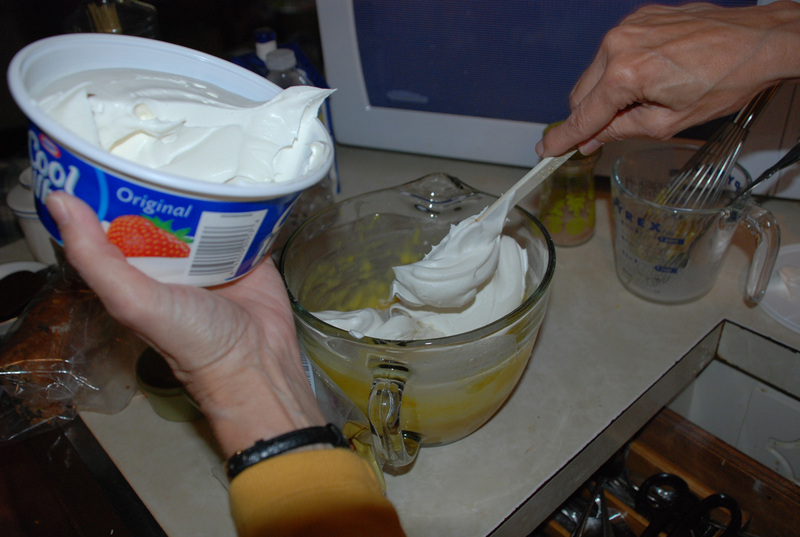 •Fold in coconut and 1/2 the whipped topping. 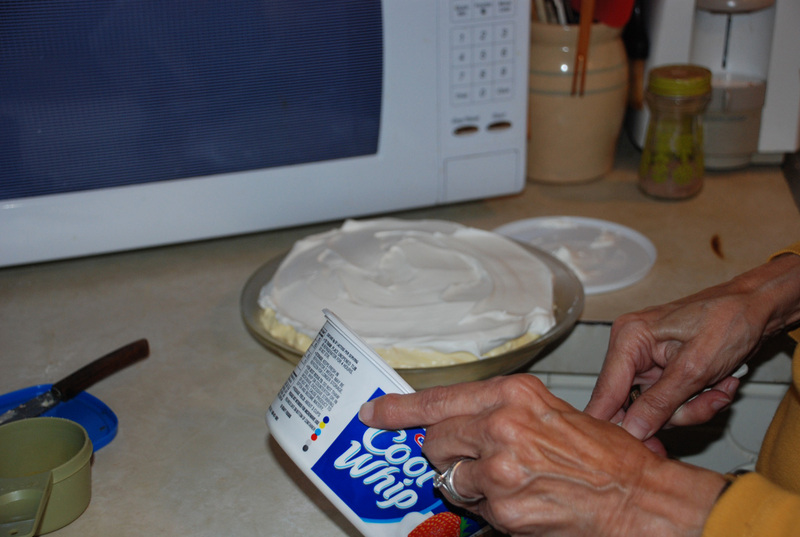 •Pour into pre-baked pie crust and chill in refrigerator for at least 3 hours. 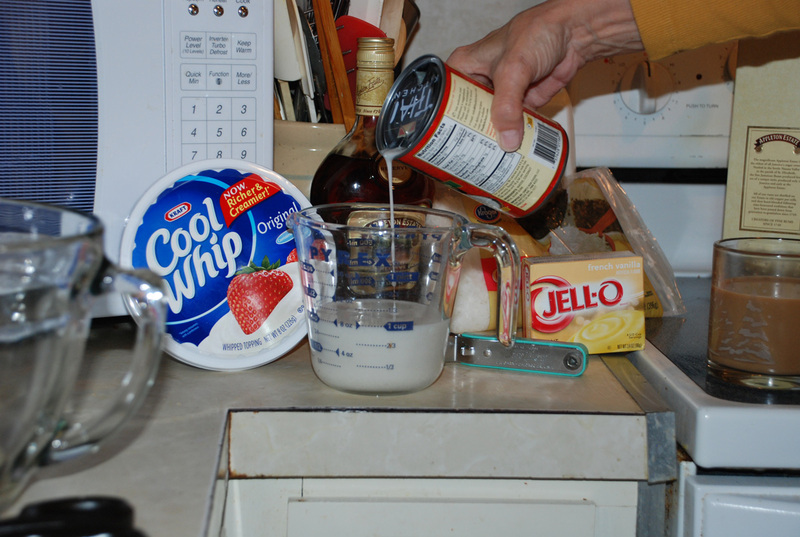 •Combine remaining whipped topping with 1/2 teaspoon rum extract. 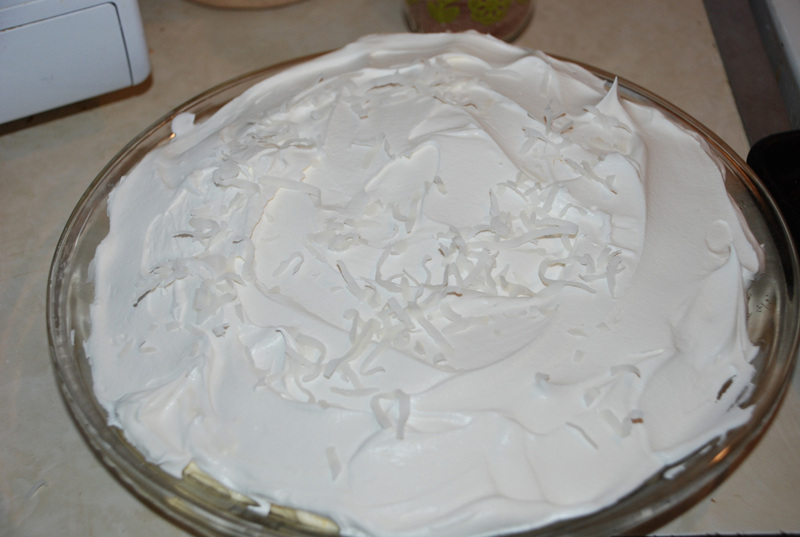 Top chilled pie with whipped topping and toasted coconut. Oops! She accidentally put all the rum in the filling. I think something is wrong with Mom’s oven. The coconut was in there for 30 minutes and it still didn’t brown! It felt like toasted coconut. Oh, well. 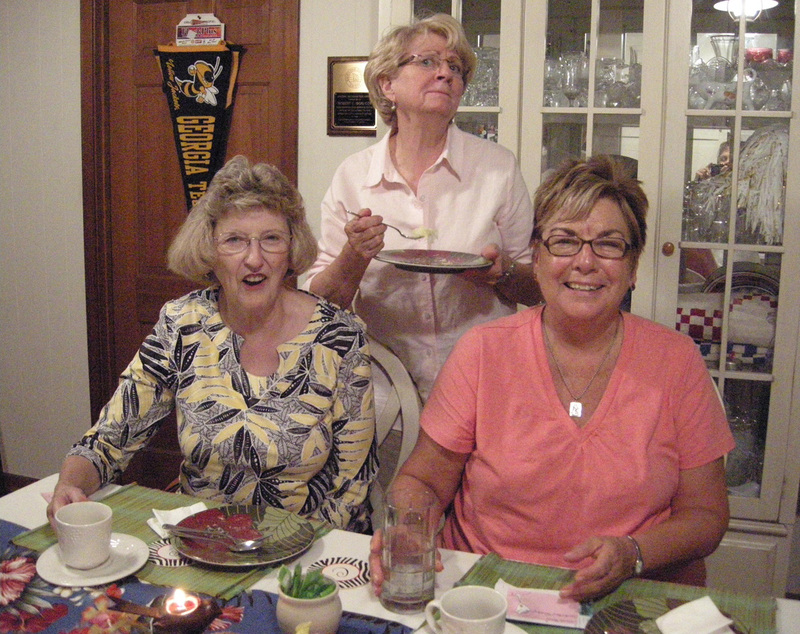 I think the ladies had a good time. I don’t know about the book. Maybe they will leave us a comment about the book AND the pie! If you look carefully, you can see Mom’s reflection in the mirror of the cabinet. Megan happened to be there to taste the filling since she was out of school for her dentist appointment. Megan: It was soooo yummy! PCTuesday: The crust looked very yummy. I didn’t get to taste it though. The filling was oooo la la! I didn’t even taste the rum much. Of course, I just had a little sample from the bowl. 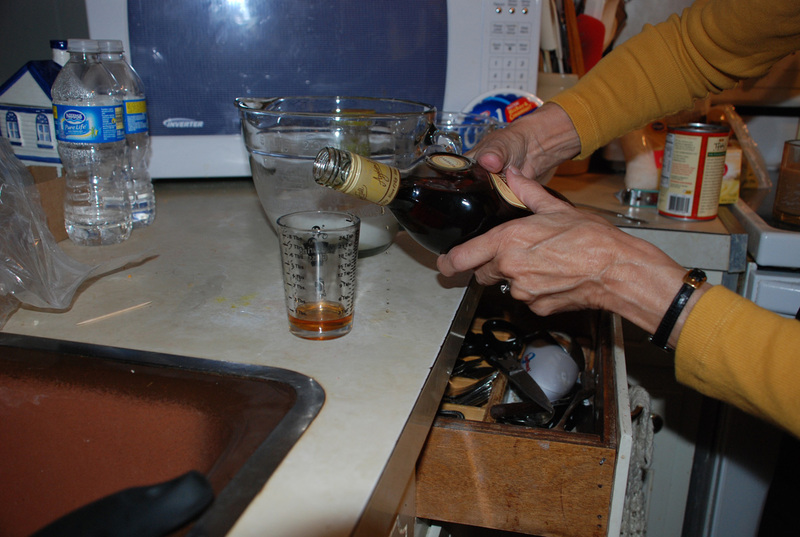 You could leave the rum out all together if you want.